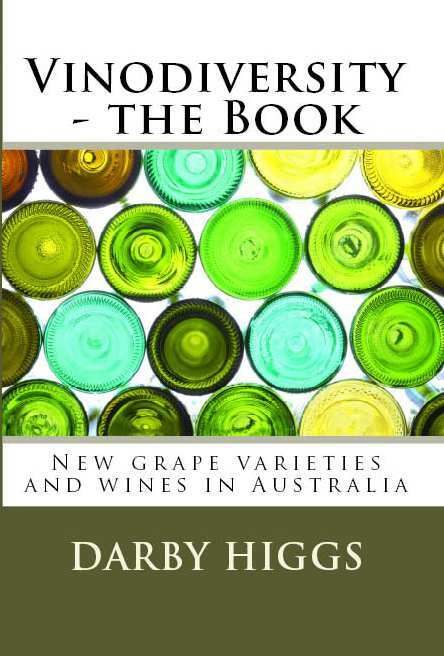 In January 2006 I published Emerging Varietal Wines of Australia. This was the first publication to deal with the rapidly expanding alternative varietal wine scene. At that time first winemakers then consumers were discovering that there was more to life than just Shiraz and Chardy. A lot has happened since 2006. We have had a wine glut and then a wine scarcity and now we are back into a glut. But the number of wineries and the number of wine grape varieties used in Australia has continued to grow. Pinot gris and Sangiovese were definitely 'alternative' back then, but now they are arguably mainstream. Tempranillo is hot on their heels and in my humble opinion is well on the way to becoming a premium variety in Australia. So it is time to update the book, under a new name Vinodiversity the Book. Of course every serious lover of Australian wine knows about Vinodiversity the website, but Vinodiversity is now multi media! It will be a paperback and probably an ebook. Just wait, it will be on iPad and Kindle next! The book is based on the information I have collected to write and maintain Vinodiversity. 130 plus grape varieties used commercially in Australia are described. 80 plus Australian wine Zones, Regions and Sub-regions are described and the wineries using alternative varieties are listed. 1600 plus Australian wineries are indexed, including the region, web address if available and the alternative varieties used. Where can you get your copy?